Pets are a commitment – whole beings that depend on you for food, love, and tug-of-war sessions. We help ease you into the process if you live in an apartment. 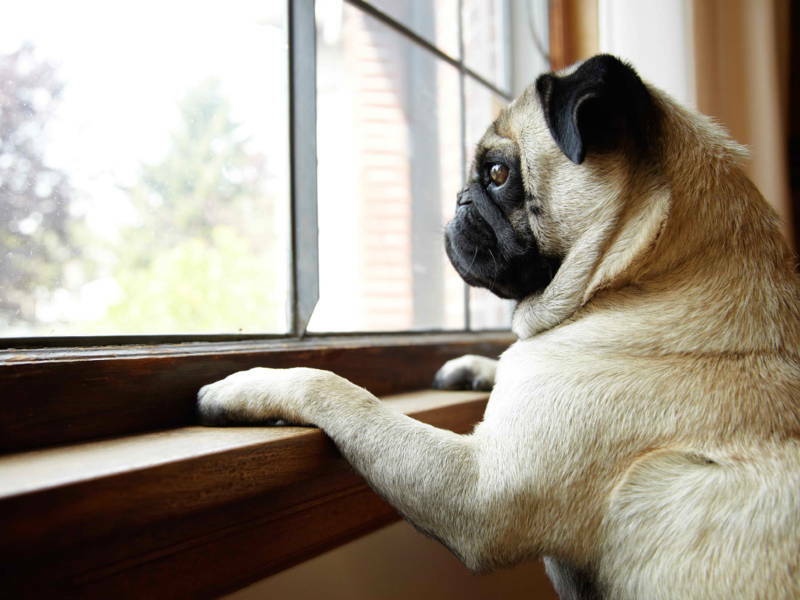 There are a number of issues to consider if you live in an apartment or condominium: your pet will be in a small, contained space for most of the day; it will not have immediate outdoor access; and it may be a sound and smell disturbance. Fret not! Overcome barriers between you and your bundle of furry joy with these tips. Some apartments may regulate what kinds of pets you may keep in your home. You should also check with your landlord, housemates, and neighbours as this is a decision that will affect them. High energy pets can be destructive if left alone for too long in a closed space with no outlet for all their feelings. Some pets are naturally noisy, while territorial ones may not be able to tolerate the constant comings and goings of your neighbours, delivery men, etc. Certain bigger dogs can adapt surprisingly well to indoor living. However, their sheer size can get them underfoot and create bathing and toilet problems. Other pets may be heavy shedders, while untrained or outdoor pets will require additional conditioning to acclimatise to their new, more confined apartment space. Do your research before choosing your pet. If these are not deal breakers, ensure that you devote time to obedience training for your pet’s mental wellbeing. 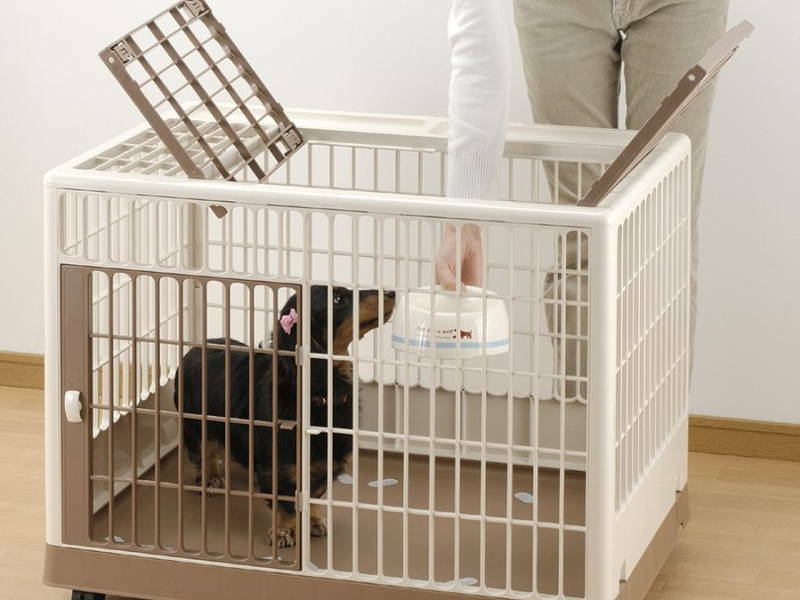 If you’re bringing home a dog, you should also get a crate for crate training. This relatively new concept helps housetrain them so they do not destroy your home. Fix childproof latches on cabinets and drawers to keep inquisitive little paws out. Keep food, cleaning supplies, medicine, and other hazardous liquids out of reach. Your pet may chew through the bottle or choke on wrappers. Ensure trash cans, air vents, washing machines, dryers, and toilets are always covered. The same goes for storage spaces as pets may unintentionally let themselves in and get trapped. Block small spaces behind cupboards, under beds, or between large appliances. 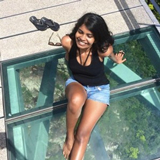 Always keep your balcony locked if it has a low ledge or railings. Place all cords and wires out of the way, or tape them down to the floor and wall. 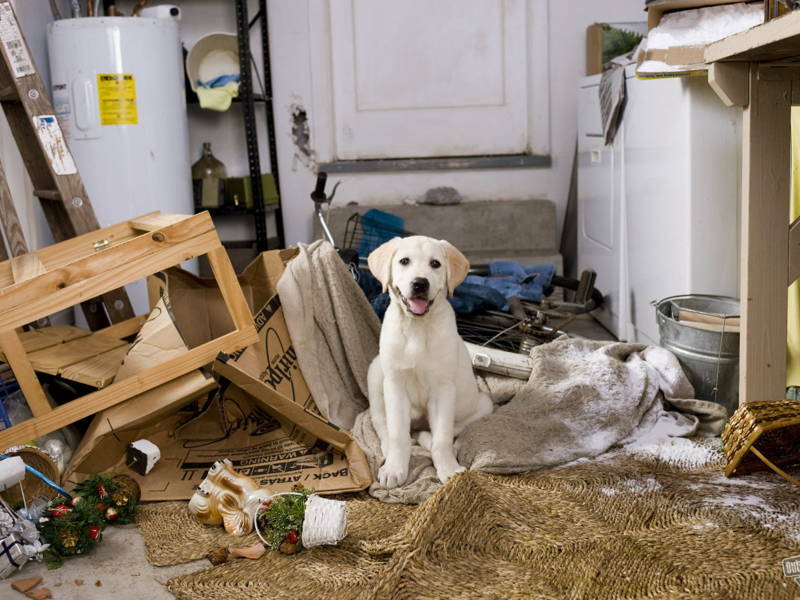 Put away any toys, decorations, sharp objects, or knick-knacks that your pet may knock over or harm themselves with. Test shelving units and other non-sturdy furniture to see if they can be easily tipped over. Move them away from areas your pet has access to. Pets are naturally drawn to their owner’s scent. Keep your clothes and shoes in closed wardrobes and dressers until they are properly trained to respect your belongings. 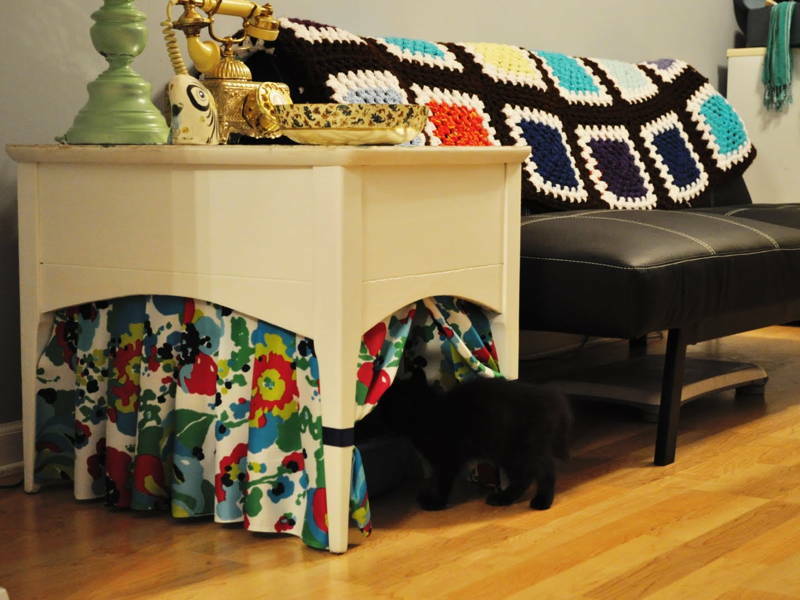 Opt for furniture and flooring that can be easily wiped or cleaned if your pet messes itself. Check out our article on beautiful flooring that are easy to clean. Bring yourself down to your pet’s level. Crawl around the house to see what else you might have missed. What areas in your apartment are off-limits? Set up gates to keep your pet out, and train him to know where he can’t go. 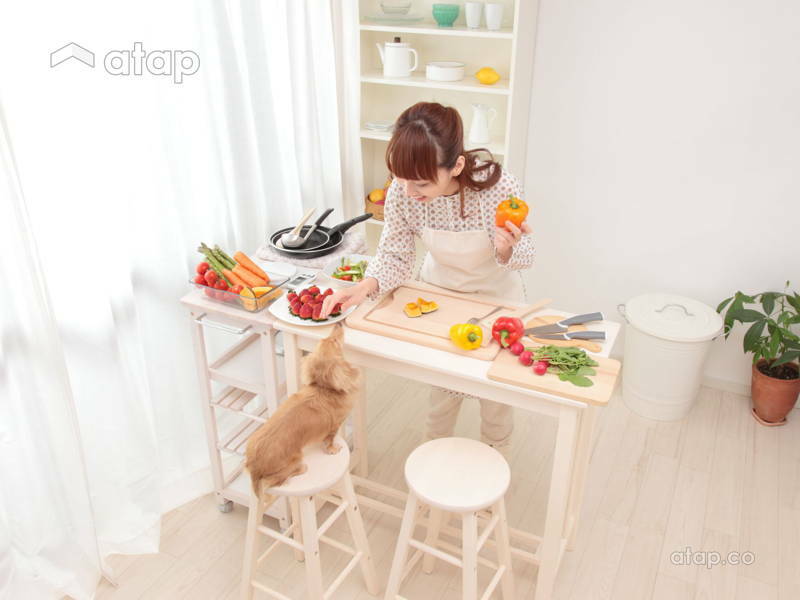 If you have a dog, share its commands with your household so that it doesn’t become confused or frustrated. A particularly stubborn pet can be contained with an invisible fence or mat which emits a warning sound or low-power static pulse when it approaches. Designate a specific spot to put your pet’s litter box so that it knows where to go – the best place for it is the bathroom or an enclosed balcony. You can also hide it in plain sight! DIY or remodel a piece of furniture for some bathroom privacy. Place the box on a mat or artificial grass so your pet will wipe its paws and not trek litter or dirt through your home. Your pet should have comfortable bedding of its own in all rooms that it’s allowed in. This helps it feel at home while ensuring that it doesn’t claim your furniture for itself. Mrs. Snugglebutt (or whatever your pet’s name is) should also have a quiet, low-stress corner where he can den and recharge. 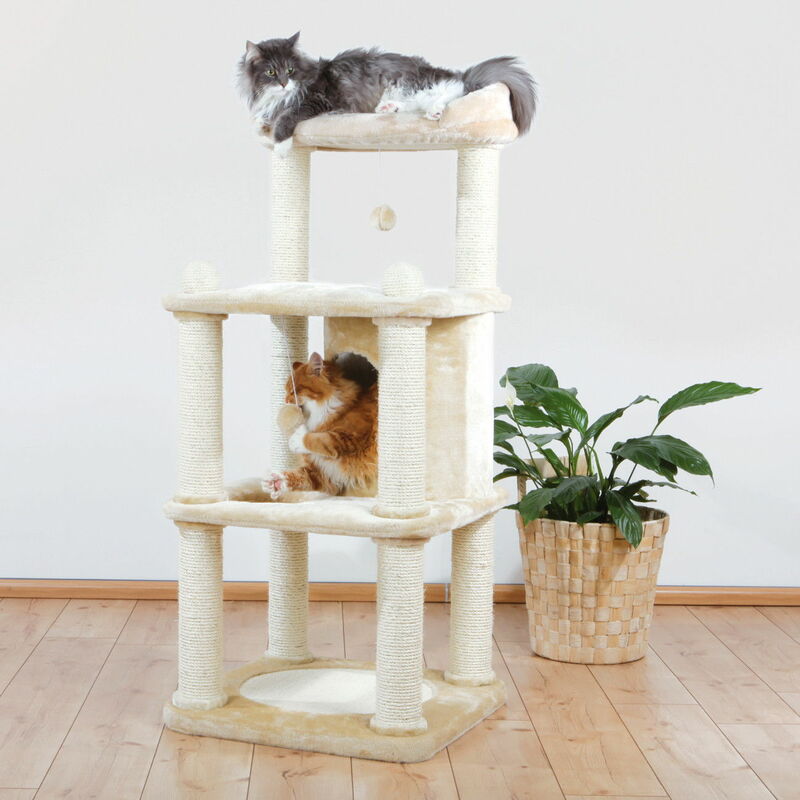 If you have a cat, get a cat tower or scratching post. It takes up minimal square footage in your room and utilises space efficiently. Cats also love being perched up high as it lets them look down on their surroundings and feel powerful. Animals seek the sun, and need the visual stimulation that the outdoors provide. Provide them with space near a glass window or sliding door. 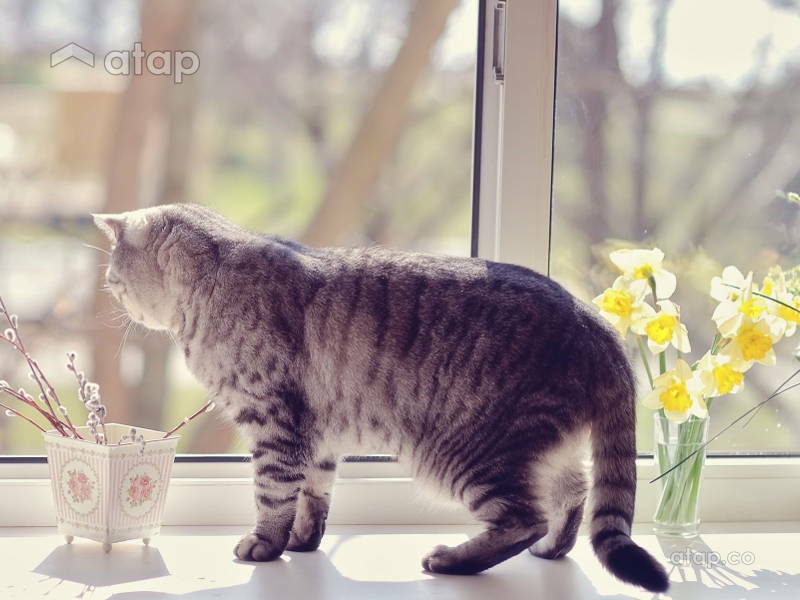 If you have floor-length windows in your apartment, move your cat’s tower or climbing post next to it. Alternatively, build your pet a comfortable ledge from which it can watch the world go by stylishly.